I discovered your blog/YouTube channel after conducting my own research on my fractured sesamoid bone. I was first diagnosed with this injury 1 month ago when I went to the ER for an X-ray. The ER doctors acted like it was no big deal and told me to follow up with a podiatrist. Dr Blake's comment: Feet injuries are typically never life threatening, so if that ER doc had just saved someone's life suffering a cardiac arrest, your injury may have seems not that important at that time. I saw a local podiatrist the next week and they put me a in cam walker and told me the fracture would heal it's self in a few weeks. 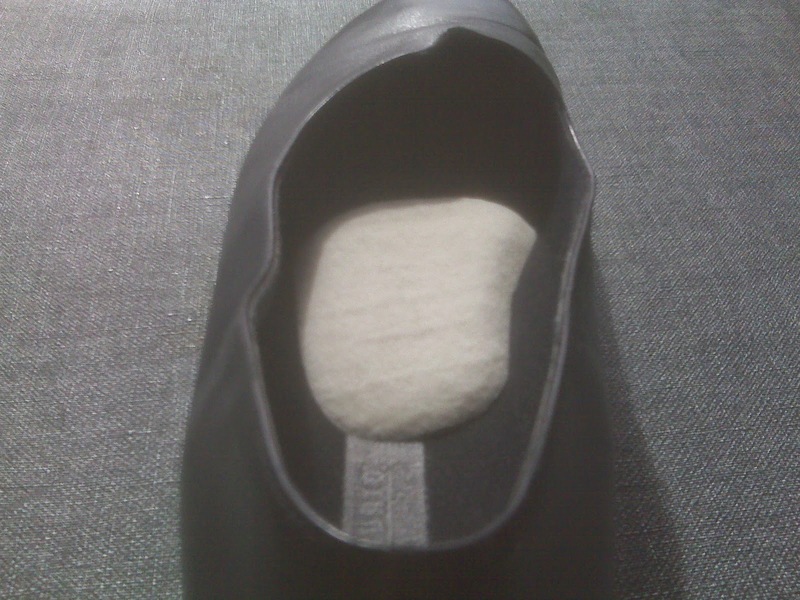 Dr Blake's comment: I am sure my sesamoid patients would concur that typically 3 months in the boot is important, followed by 2-6 weeks of weaning out of the boot into shoes with orthotics and dancer's pads to off weight the area. They wanted to see me for a follow up after being in the cam walker for 14 days. At this appointment I got the bad news that my fracture had actually gotten worse. The doctor then told me that I was back to square 1, no weight bearing, crutches and to wear my flat walking shoe that the ER had given me. This new treatment plan really confused me and that is when I started to do my own research and discovered you. Dr Blake's comment: Following these injuries by xray is very difficult. Xrays show the amount of calcium in a given area. 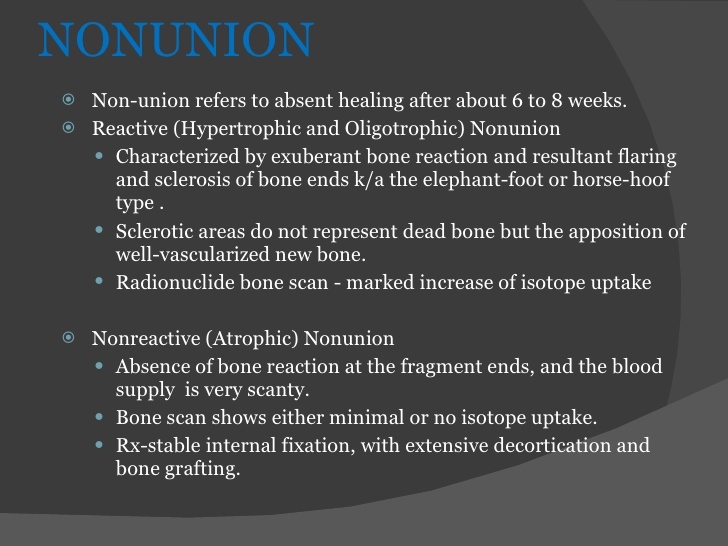 When an injury is flooded with healing body fluid bringing in calcium, etc, to the wound site, the relative amount of calcium is less and the fracture looks worse. This would be usually the wrong interpretation of that xray. Yes, the fracture could be worse, but it is not typical unless you fell or had a high impact stumble while in the boot. By 2 months into the injury, the xrays are supposedly 2 months behind demonstrating the actual injury healing. What good are they after the initial diagnosis, unless there is a fall, etc? If I only had xrays to image, I would wait 4-5 months to get repeat xrays. I have 2 small children and we are extremely active. I jog, bike and weight train 5x a week so I need to heal this completely. I'm committed to doing whatever I have to and know that it is going to be a long road to recovery. Dr Blake's comment: You have to listen to your body. As long as you can keep the pain level in the boot from 0-2, typically this is a weight bearing injury. I can not overstep the treating doc, of course, but I find non weight bearing causes more swelling, more pain, more bone demineralization, and slower healing typically. an appointment to see my podiatrist, but I think that I need to find a new Doctor in the meantime. It seems to me that he doesn't know how to treat this specific injury and is not giving me the correct information on how to heal it. I am going to start the heat/cold baths you recommended tonight. My other questions to you are do you think that I should continue to be non-weight bearing or do you think I am ready for the cam walker with the dancers insert? My doctor seemed to have no knowledge of the insert and seemed to treat it as any old fracture. Dr Blake's comment: You have to feel comfortable with your treating doctor, and I am sure he means well, and because of the caution going to non weight bearing, you will heal fine. There is no research I have seen on non weight bearing vs weight bearing, but definitely get another opinion. One good place to start is the AAPSM website. Go to their member's list and see if one is near you. These are sports podiatrist who typically are conservative, and are very familiar with this injury. If she/he says the same thing, you can choose to go to whomever. Read all my posts on this subject. I'd greatly appreciate any input you could give me. I'm only 28 and as I've mentioned I have children so I'm just very worried about having to suffer from this for years to come. I will be donating to your cause and I look forward to hearing back from you. And this article only talks about sclerosis as a normal part of healing. I came across your website trying to research my foot problem, however I am not able to view it well (text & images overlap, things are scrambled) I use a Mac and have been trying with Safari and Chrome). I did find you e-mail and hope you don't mind me writing to you directly. Dr Blake's comment: Not sure what that is about, but I hope it is not a wide spread. It would ruin my blog for sure. I have not found anyone to help me with some disabling left foot pain in the 2nd metatarsal area and wonder if you have by any chance have any recommendations for specialists in New Mexico. Dr Blake's comment: Look for Dr Robert Parks in Albuquerque. I am attaching a copy of the MRI I was finally able to get. Summary says “prominent chondromalacia, prominent bone marrow edema and subchondral cystic/erosive change of the 2nd metatarsal head" also "various/adduction of the forefoot osseous structures associated with mild subluxation at the 2nd MTP articulation”. 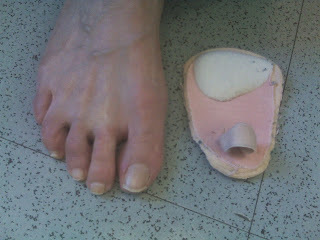 Big toe also showed some much milder issues. There was also thinning of cartliage in both & small amount of joint fluid in both”. Dr Blake's comment: There was no attachment to this email. The MRI report says that there is extensive damage to the 2nd metatarsal head which typically means at least a joint surgery with cleanout. A very quick history of this: about 2 years ago I started having some mild pain in my left foot when going for my daily walks, 2nd metatarsal area. Never had it before. (I’ve only always worn excellent shoes, e.g. birkenstocks, wide toe running or walking shoes, some Keens). In the beginning it was off and on and got worse as I walked. It also got worse in the winter when I had to wear my winter boots or hiking boots. (I do have severe osteoporosis (-4.5 DEXA) due to hyperparathyroid disease that was not caught in time (I ended up having parathyroid surgery, but my bone density did not improve). Dr Blake's comment: With that low bone density, you can not heal well when your bones are injured, even in the slightest degree from walking. So I went to a podiatrist last year who did X-rays and ultrasound (said x-ray didn't show anything but ultrasound showed a “slight thickening" in the area where I had pain and said maybe a stress fracture) and had his tech put a metatarsal pad on. That immediately made it much worse (told him, just said to keep trying it) and I ended up having to take it off later at home (later, from my own reading, discovered that he hadn't put it in the correct place on my foot). In the following months I could usually still walk in birkenstocks or running shoes, so I thought maybe it would just get better. Dr Blake's comment: The met pads are to off weight the painful area, so need to be towards the arch just next to the sore area. Then over a short period of time (about a month), it got significantly worse, very severe pain and I couldn’t walk in anything (except barefoot in the house, though not great on the tile floors). Even started having pain up ankle and in heel of right foot but probably from way I was compensating when walking. My second toe seemed to (suddenly?) be very loose at the joint, which I hadn’t had before. Saw a podiatrist who thought I had capsulitis (though from what I’d read it didn't seem like I had the symptoms of that). She only did a very brief exam (just touching a few points in my left foot) and wasn’t interested in x-rays. Dr Blake's comment: So, sounds like arthritis in the joint, possibly from osteoporosis and wear and tear, and then plantar plate tear with resultant joint instability. So I went for a consult with an orthopedic surgeon. He read the MRI, and in addition to the radiologist’s report he said there was a small cyst in the area and the tendon was "stretched out”. He mentioned surgery that could be done but said he’d “hate to be the one to put a scalpel in me” (and really didn’t seem to be recommending it). Said I could get a steroid injection under X-ray but also said it could worsen the tendon issue and at best is only quite temporary relief. Said physio wouldn't help at all and a boot would throw off my gait more so didn’t recommend. 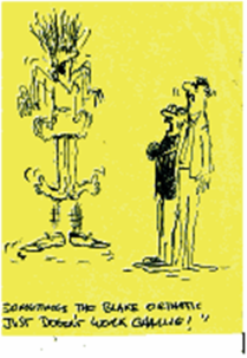 Dr Blake's comment: Yes, avoid the cortisone. Consider the New Balance 928 wide with rocker bottom. You need to get a Budin Splint looping it gentely over the 2nd and 3rd toes. Ice 2 or 3 times per day. The splint is like a ankle brace for ankle sprains. You wear for 6 months minimum. Needless to say I’m extremely reluctant to have surgery, and I don't even know if I should have a steroid injection (for only temporary relief and perhaps worsening of tendon, and from what I’ve read, risk to plantar plate), but he said that’s all he can offer. 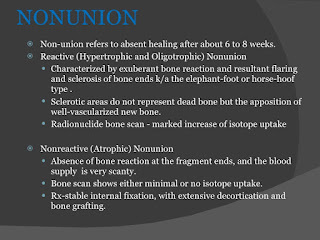 I’ve being reading several medical journal articles…with no real answers, except that with the marrow edema, there’s a danger of necrosis (which orthopedic surgeon acknowledged), mention of need to get at underlying cause, and some say immobilization (though orthopedic didn’t say this). I did read some cases of bone marrow edema treated with IV iloporst which I hadn't read at the time of my appointment, so didn’t ask about that. I asked about a couple other things I’d read about bone stimulators, PRP and he said "they are extremely expensive, and show no scientific evidence”. I’m not sure how the marrow edema and chondromalacia and other things mentioned on the MRI relate to each other, or what to do about any of it. I’ve not had any treatment really except to try on my own metatarsal pads with no real success, but at this point it’s painful to walk at all. The only activity I’ve done for the last month is walking around the house as necessary. Is there any treatment I could try? Does something like this get better eventually?Do you think a steroid injection would help? Dr Blake's comment: No steriod please. The joint sounds messed up, so it is hard to predict the outcome. Just take one step at a time, and create that pain free environment. I have seen very bad looking MRIs and x rays that did not hurt, so your pain and function are the best indicators over the next 6 months on whether surgery is needed. Last July I was dancing in a regional production of Hello Dolly. I began experiencing pain in the ball of my foot and up my big toe but didn't really think much of it because I was dancing long days in heels and was used to some discomfort. The pain got worse and worse until I could barely walk after the shows. I took a week off from dance after the run of the show was over and felt completely fine. I went back to dance and felt good after my first class back but after my second I was experiencing the same pain. I went to a doctor who gave me an X-ray that showed I have partial sesamoids. Dr Blake's comment: Partial sesamoids is a name given to the sesamoids when the condition is considered congenital, not traumatic. She thought I maybe had fractured one of the bones and put me in a boot for a month. I tried to start dancing again after that month and experienced more pain. Dr Blake's comment: I tend to see that if a boot is needed, 3 months is the key unfortunately. We all think we will be the exception. I went to a podiatrist who made me orthotics and told me to get an MRI. He told me dancing wouldn't further damage it, so I began dancing at a lower level of intensity. I went to see a doctor to give me an MRI, and he said that his advice would be the same regardless and just told me to take five months off from dance. I went to a different podiatrist who told me to "light up the area" before the MRI to be sure that the sesamoid was causing the problem. He suggested that the day before the MRI I aggravate the area, so I ran around my block a few times and subsequently felt a lot of pain. I brought my MRI to a dance doctor in NYC who suggested I get a PRP injection at NYU. I went to NYU and they gave me an ultrasound which showed I did not need a PRP injection, but they said that my fracture was very bad and very active. Dr Blake's comment: So, you have a fracture, and your career depends on it. I love Hello Dolly BTW and my son played Patrick in a local production. I know it does not help you. Fractures need prolonged immobilization with the boot with dancer's padding, bone stimulator for 9 months, contrasts and icing combinations, spica taping, dancer's padding, orthotics with dancer's padding, dietary counseling with calcium and Vit D intake considerations, etc. I was then put on crutches for three weeks. I saw a podiatrist in NYC who specializes in dancers and he said that I should stay on crutches for another four weeks and gave me a bone stim machine. 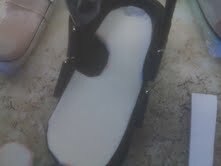 I went from the crutches to a boot to new orthotics. I then started experiencing a very mild amount of pain after walking long distances. I got another MRI (after stopping the bone stim for three weeks) which showed no difference. I have been told to try dancing and seeing if I have pain, and if I do to consider surgery. Dr Blake's comment: Professional athletes do have surgery more often than us mere mortals, due to the loss of income. But, sesamoid removal is a potentially career changing surgery. For the patients who can afford to wait, a careful 3 month immobilization period with bone stimulation, followed by a 3-6 month restrengthening and return to moderate dance phase, and finally full activity. I would be happy to look at your MRIs for an opinion. My address to mail is Dr Rich Blake, 900 Hyde Street, San Francisco, Ca, 94109. I have also been told that I shouldn't ever consider taking out the bone. I really feel like I am at a complete loss with very little direction as to what to do next. Dr Blake's comment: Now that is baloney, or salami, or swiss cheese. Patients do well post sesamoid removal. And, unfortunately, when your care is not great, you have a higher chance of needing surgery. You only have a 10% chance that the surgery, when all is said and done will effect your career. Even, though 10% is high, it is considered wonderful in surgical odds. When I have a patient who needs sesamoid surgery, I wish I could have avoided it, but I never feel like it will ruin their life. It is a highly successful surgery. I am not sure if some pain is normal when getting back to dance or how to gauge whether it has healed. I have one doctor telling me it has to be healed because I experience very little walking pain and have really exhausted my options. My other doctor seems to think it hasn't and wants to follow the MRI. I am 20 and feel like I am watching my dance career slip away. I need to get back to dancing as soon as possible but am so scared to further delay the healing process.